Lemon Banana Sherbet is a sativa-dominant hybrid of Lemon Skunk and Sour Banana Sherbet. It expresses a zesty fruity aroma with flavors of citrus and ripe banana. Lemon Banana Sherbet delivers relaxing effects that elevate mood while sparking an appetite. 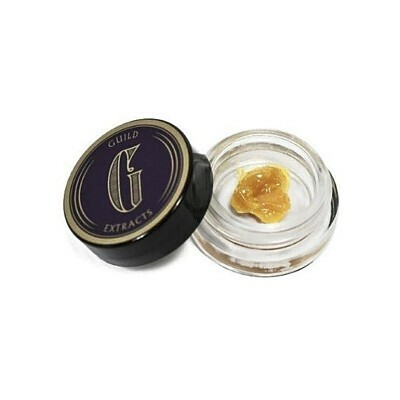 Guild Extracts is a collective of extraction artists dedicated to producing the finest quality medical-grade cannabis products for both patients and connoisseurs. This THC-A powder contains 94% THC-A and 2% THC! ** All prices include a 15% CA Excise Tax, Oakland Local Tax (since we are licensed out of Oakland), and your local Sales Tax!